Updated: 7:05 p.m. | Posted: 2:25 p.m.
U.S. Rep. Keith Ellison, the Democratic-Farmer-Labor candidate for Minnesota attorney general who won Tuesday's primary election, received the endorsement of the party on Saturday amid allegations of domestic abuse. Delegates gathered at a meeting of the DFL State Central Committee in Cambridge, Minn., on Saturday. In a vote conducted using paper ballots instead of a voice vote, 82 percent of delegates supported endorsing Ellison for the November general election. After the vote, state DFL Chairman Ken Martin issued a statement saying the party "stands with (Ellison) in his campaign and we look forward to working together to keep this seat." Ellison was in attendance at the gathering but left after the vote. Ellison, who currently serves as a congressman from Minnesota's 5th District, was not the DFL-endorsed attorney general candidate for Tuesday's primary. He won nearly 50 percent of the vote against four other candidates, including a DFL-endorsed candidate. Ellison will face Republican candidate Doug Wardlow in the November general election. 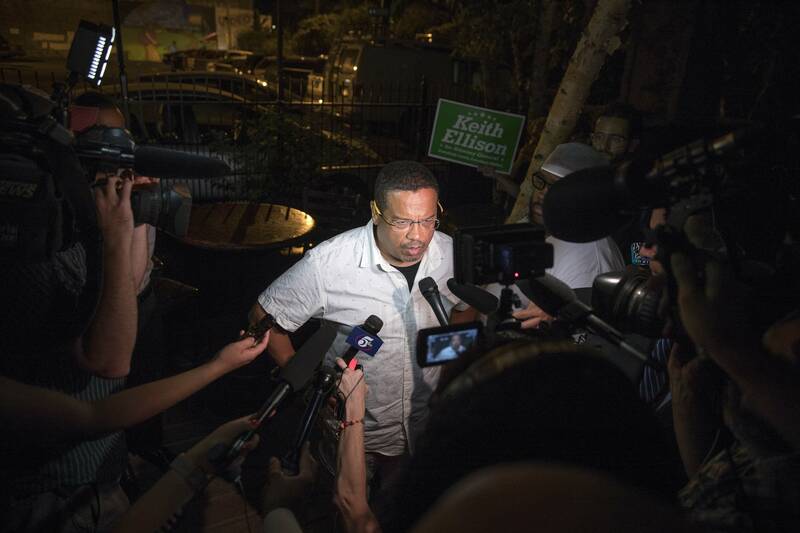 Several days before the primary election, allegations surfaced that Ellison yelled profanities at his former girlfriend, Karen Monahan, and dragged her off a bed. Ellison has denied those claims. 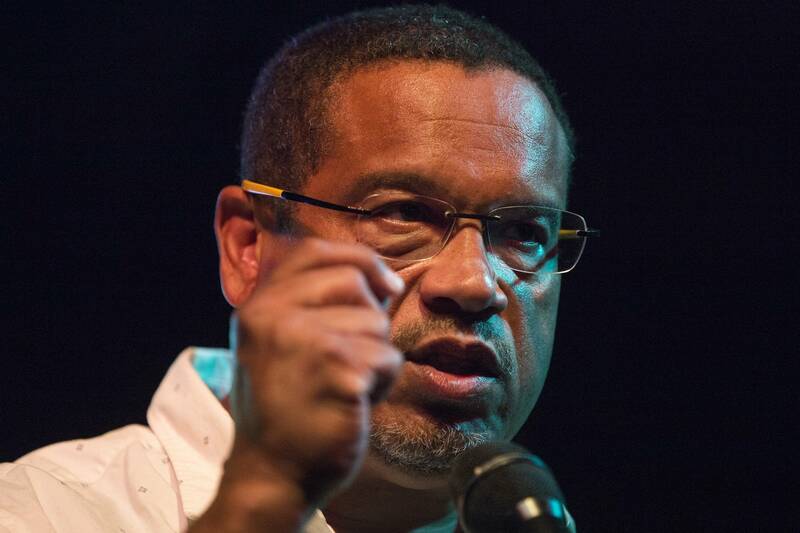 In a speech to the packed auditorium of delegates Saturday, Ellison again denied abusing Monahan. Ellison has previously denied Monahan's claim that there is video evidence of the alleged altercation. He says there couldn't be a video of something that didn't happen. "I will say that I'm not the one who claimed to have evidence. I think the person who said they had something, it's on them to produce it." Monahan contends it's not up to her to try to prove what happened. She told MPR News earlier this week that she would not release the video, in part because it's embarrassing, but also because she doesn't believe the burden should be on survivors to prove they have been victimized. "Whether it be abuse toward women, abuse from police officers, abuse from other people in power," Monahan said. "To have to be the one, like I'm doing right now, to show and prove their stories." Ellison said Friday that nobody from the DFL had asked him to step aside in the wake of the allegations. But the National Organization for Women did call on Ellison to drop out of the race. The campaign of Wardlow, Ellison's Republican opponent, issued a statement blasting the DFL endorsement amid the abuse allegations. "Minnesota Democrats have preached that we must believe domestic violence victims. That is, until it is one of their own. This endorsement is not only disturbing, but it goes to show that they will put politics above all," the statement read. "National Democrats should rebuke the Minnesota DFL for their endorsement of someone accused of domestic violence."